The kitchen is also well equipped. 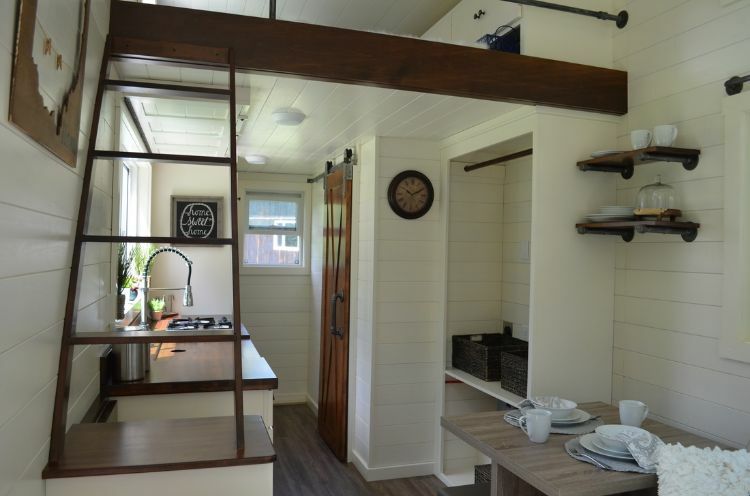 It features a 32-inch sink and premium faucet, a three-burner propane stove, lots of counter space and a 90-cubic foot refrigerator. This view gives you a quick lay of the land. Above the photographer's head is the sleeping loft and on the far left in the foreground is a slim view of the open door to the bathroom. 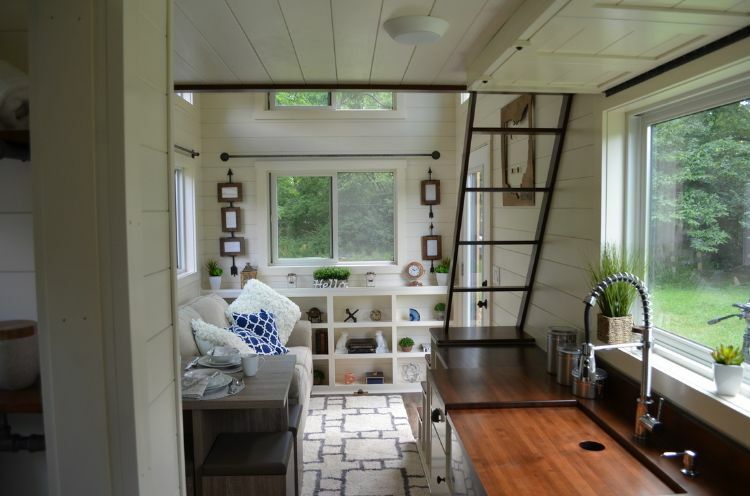 The large kitchen window offers plenty of light and sets the pace for the open feel to this tiny home. 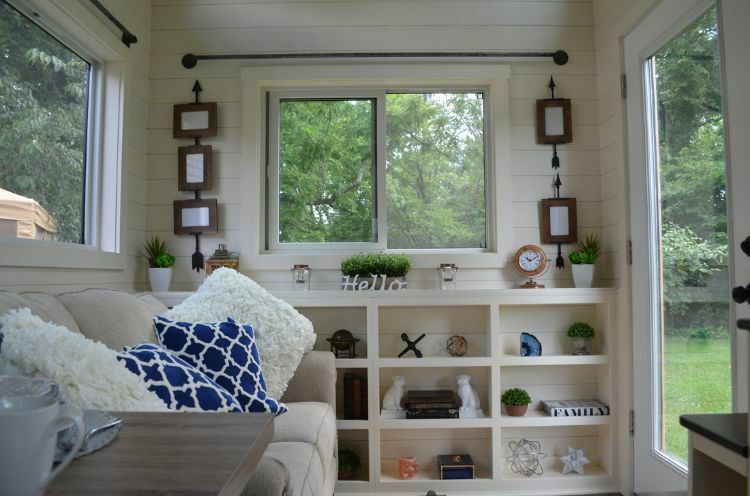 This close up of the living room area shows you that big windows (including the door) are the norm in this home on wheels. 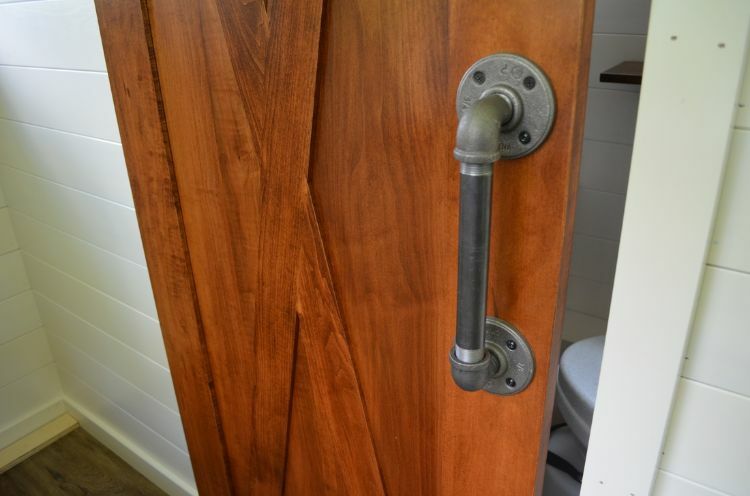 The reverse view of the downstairs shows the bathroom behind the closed door in the center of the photograph. 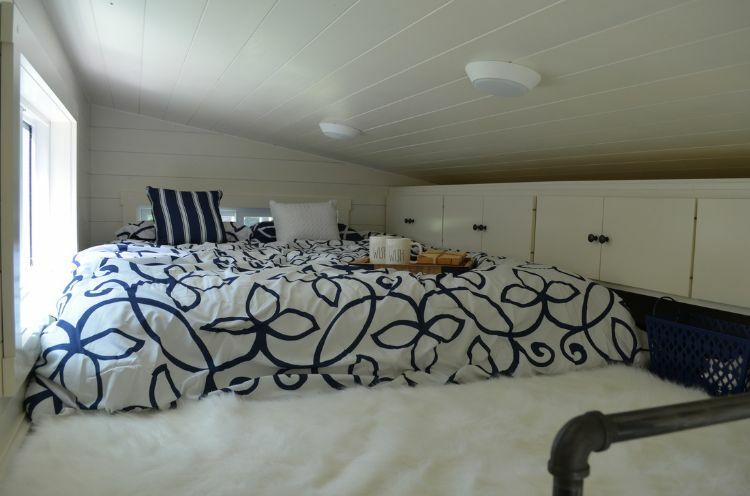 The ladder sits on top of four steps and leads to the sleeping loft. 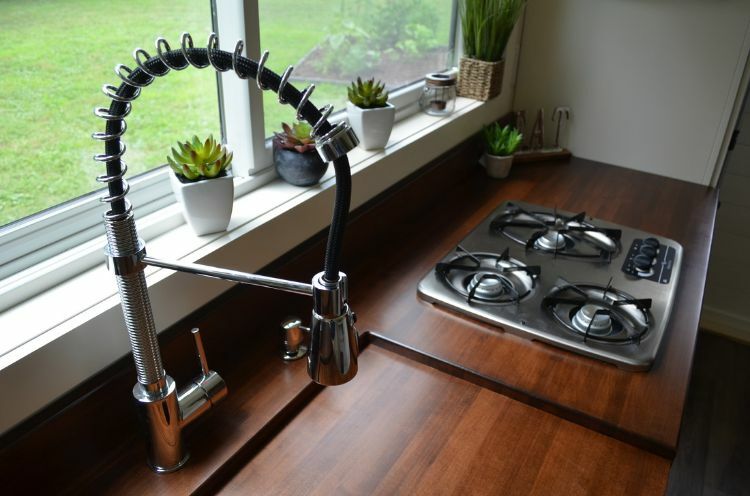 Beautiful walnut counters work well with this swan's neck faucet. The stove is large enough for almost any occasion. 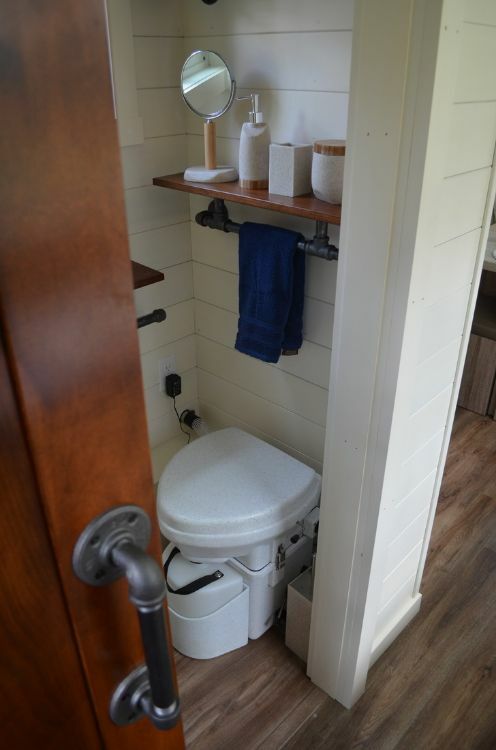 A composting toilet spells f-r-e-e-d-o-m for tiny house owners. It means there's no need for hookups at RV parks in order to take care of waste. 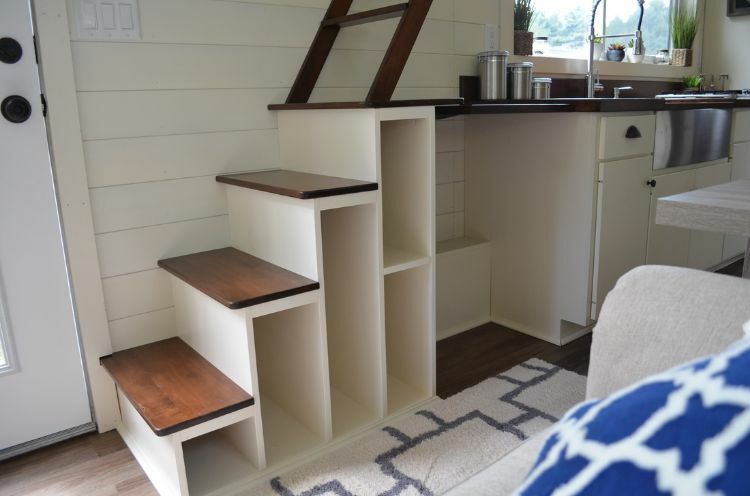 The storage stairs and ladder also features the use of walnut. The cabinets in this bedroom are a very generous edition to this sleeping loft. 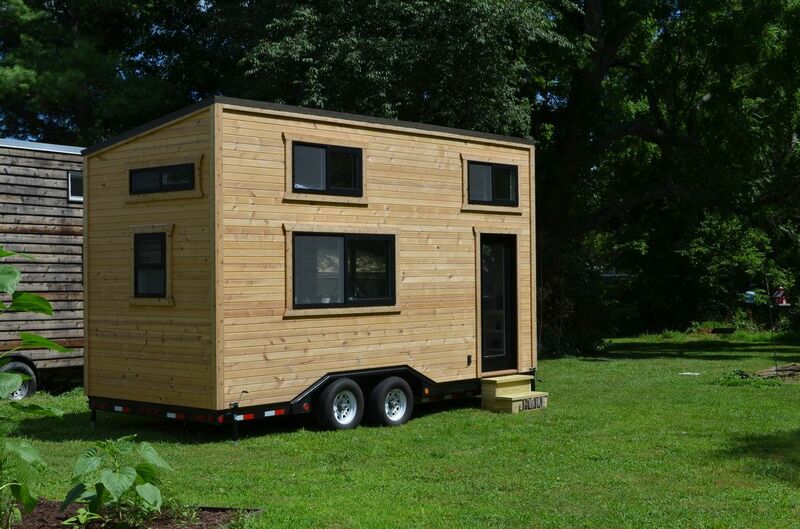 After all, you rarely find a closet tall enough to hang up your clothes in a tiny house. A few classics braced by a pair of grumpy bulldogs. This photo also shows the use of galvanized pipe, which is cheap to purchase and easy to use. 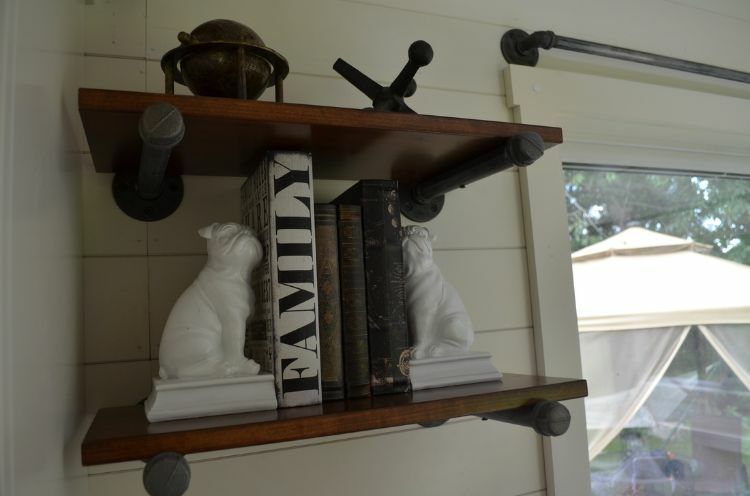 Notice, the shelf brackets are not the only item made of galvanized pipe in this photo.